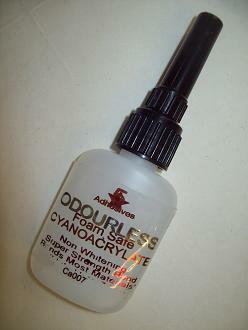 it also bonds all ppolystyrene foams, white, blue , pink or depron! This glue is of the highest quality available, we are one of the uks largest manufacturers of quality specialist adhesives. This adhesive has a shelf life of up to 7 years!, and is the best that you can buy!